Advancing human potential is at the center of the workforce development profession. The MS degree in Human Resource Development at Saunders College is an innovative program that prepares graduates to become dynamic leaders in human resources. As strategic workforce partners within their organizations, our graduates help organizations with their present and future workforce needs. This program incorporates a global human resource perspective as well and equips all graduates with critical competencies they need to maximize the human potential within their organizations. Students include individuals interested in starting a career in the human resource field, as well as experienced HR practitioners eager to build new competencies in training, instructional design, performance management, and employee development. Graduates are Strategic leaders of the human potential within the organization. Upon acceptance into the program, you are assigned an academic advisor. Together, you and the advisor develop a plan of study to best meet your needs and ambitions. The Human Resource Development degree program has four core courses, one required course and 2 courses related to graduation options. The degree requires completion of 33 semester credit hours to meet graduation requirements. ( A limited number of credit hours (not counted toward another degree) may be considered for transfer credit from another college or university.) The remaining courses for the degree are used as electives to allow you to personalize your degree program. Students select from a number of electives within the program which best meet your career ambitions. Students entering our program represent all age groups with the majority young working professions of 23 -35 years of age. About 50% of our graduate students have work experience in their field of study. Often our students pursue an advanced degree after working for a period of time after receiving their Bachelor of Science degree. At any one time there are approximately 25-30 students in each of our academic programs with a slightly higher percentage female versus male. 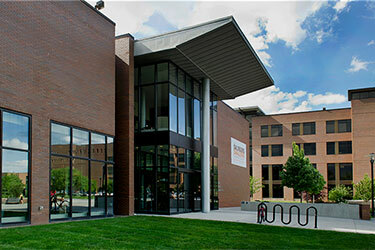 Approximately 60% of the student population in graduate studies at the Rochester Institute of Technology is from a country other than America. This diversity enables all students to gain a global perspective of topics and studies within our programs. As an international student RIT provides extensive resources to help you during your studies. Outside the classroom there are over 200 student clubs to choose from to meet a wide variety of interests. Support and guidance for those joining our academic programs comes from the International Student Services and English Language Center. In addition we have international campuses in Dubai and Croatia within which we offer our academic programs. Students from our international campuses often chose to take a course in our programs at another international location. This provides opportunities for diverse engagement and learning.